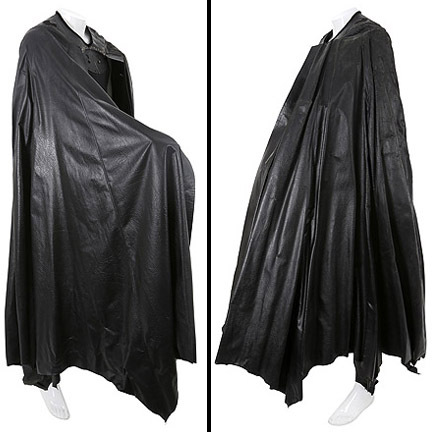 This stiff cape was worn by the character "Bruce Wayne/Batman," portrayed by actor Val Kilmer, in the 1995 motion picture, "Batman Forever." 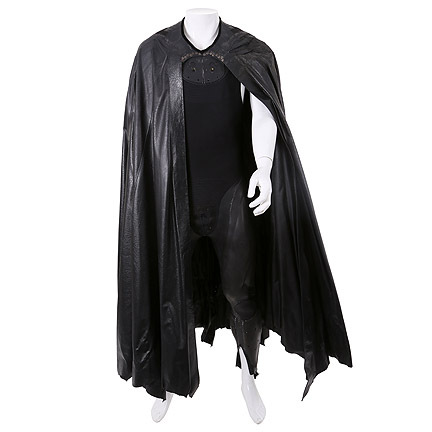 The custom fabricated cape is constructed of a silicone latex, nylon spandex exterior sheath, and nylon boning where the support wires were inserted for the flying sequences. 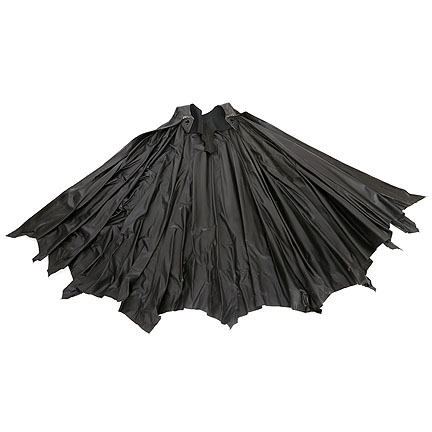 Also included is the original metal backing plate where the cowl, emblem, and cape attached. 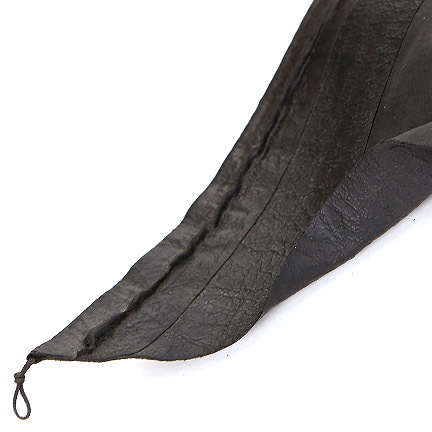 The nylon spandex exterior sheath is deteriorating at the shoulders and the left side of the cape is stiff due to age. 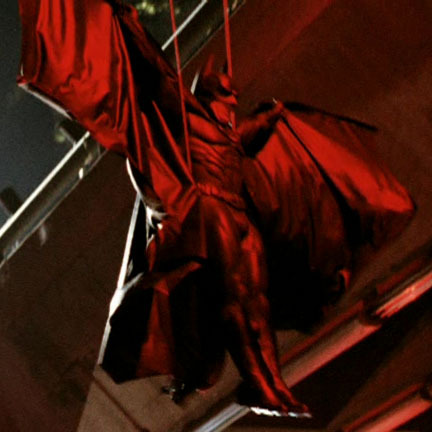 The loops at the tips of the cape were used to help orchestrate specific movements during the film so that the fabric could be pulled, tightened, or lifted for dramatic effects and flying sequences. 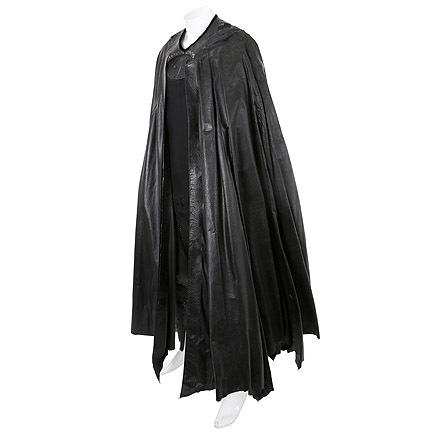 This cape was designed for harness scenes in which Batman would swoop down from above. 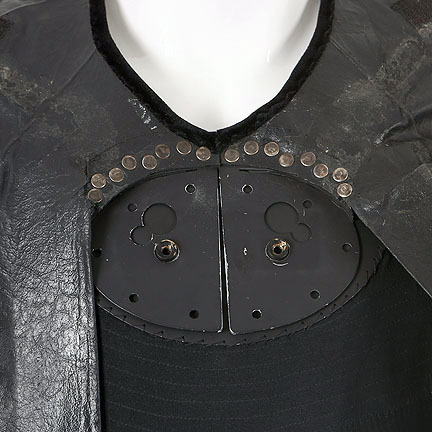 Additional space was created where the Batman emblem goes, in order to allow room for more support so that the Batsuit costume components held during suspension. 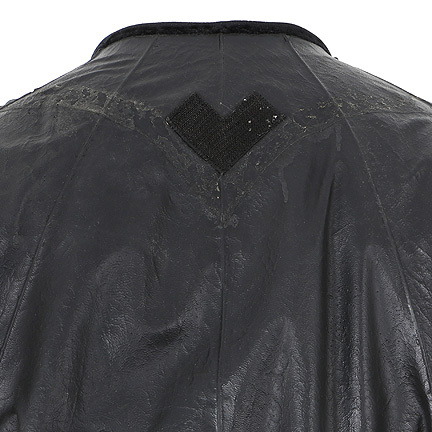 Mr. Kilmer can be seen wearing a version of this cape throughout most of the film before the Riddler destroys the Batcave, and the new dark silver “sonar” Batsuit is worn as a result. 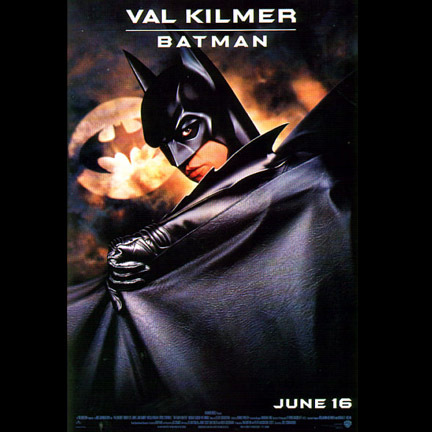 Directed by Joel Schumacher, "Batman Forever," stars Val Kilmer, Tommy Lee Jones, Jim Carrey, Nicole Kidman, Chris O'Donnell, Michael Gough, and Drew Barrymore. It was nominated for three Academy Awards and a Golden Globe award. 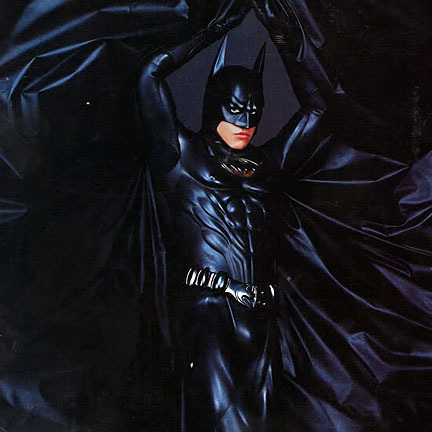 Producer Peter MacGregor-Scott stated that for the costume design, the Batman suit was redesigned along the lines of a more "MTV organic, and edgier feel." The film was a box office success, becoming the second-highest grossing film of 1995. 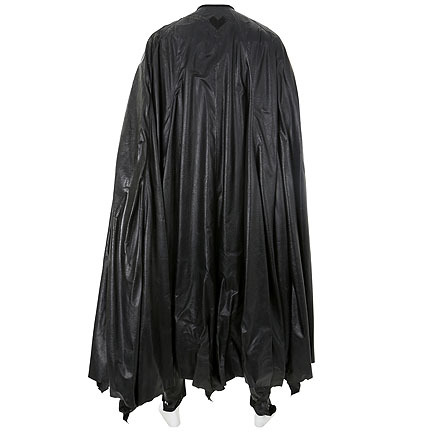 The cape is in good screen worn condition with scuffing due to its extensive use during production and age. 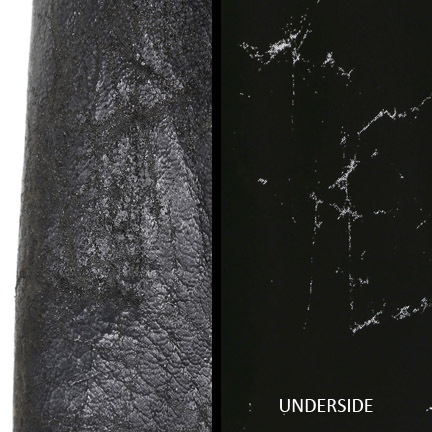 *NOTE: DUE TO THIS ITEM’S UNUSUAL SHAPE AND SIZE, ADDITIONAL COSTS MAY BE CHARGED SEPARATELY DEPENDING ON PREFERRED SHIPPING METHOD. PLEASE EMAIL US FOR ACCURATE SHIPPING COSTS TO YOUR LOCATION PRIOR TO PURCHASE.